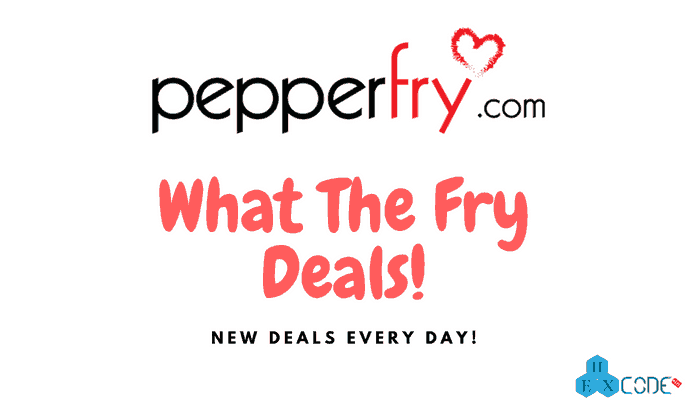 Pepperfry What the Fry deals today - Updated new WTF deals everyday! Home » Blog » Pepperfry What the Fry deals Today – New Deals Everyday! Pepperfry What the Fry deals Today – New Deals Everyday! Pepperfry What The Fry Deals: Everyday Pepperfry provides new deals in which they offer the huge discount on some selected products. You can get even up to 90% discount on some products. Pepperfry WTF deals live for a 24 hours period (11:00 AM to 10:59 AM next day) and then they change the products. So, if you find any product on What the fry deals on Pepperfry, assume that it’s the lowest price you can get and buy it as soon as possible (Of course only if you need). We update new Pepperfry WTF deals every day and you can bookmark this page if you love buying products at a huge discount. Here are the What the Fry deals on Pepperfry for 11:00 AM, today to 10:59 AM, tomorrow. How to Shop on Pepperfry? You will be redirected to the deal page. Now click on Add to cart/Buy now button. Now, pay via any available payment method. That’s it, You will get order confirmation on registered Email ID/Mobile number and as well as you can check on My orders section. Now, wait for a few days to get it delivered.